We provide books wholesale. Call us at (760) 832-4397 or email: doug@dolphinworks.com. You may request personalized, autographed copies from Doug for guests on your events. You may place an order with your credit card or with a check. 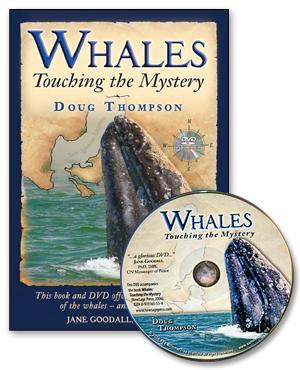 Author Doug Thompson has spent thirty years with cetaceans–studying, conserving and educating us about these fascinating mammal ‘cousins.’ Like Jacques Cousteau and other activist/naturalists, Thompson’s stories in Whales: Touching the Mystery, call us into a complex and fragile underwater world with other species who have so much to teach us about social skills, communication, and finding balance within our blue planet. Why do whales, living wild and free in the ocean, seek encounters with humans? 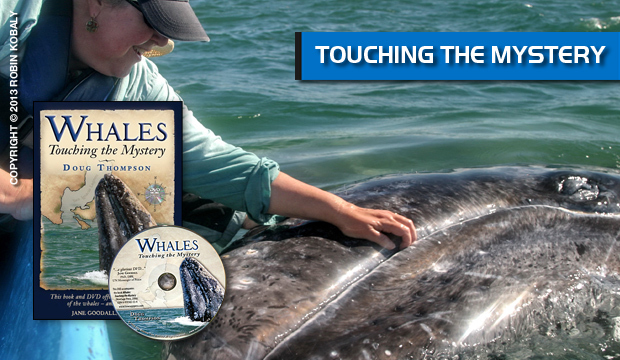 In Whales: Touching the Mystery, Doug Thompson shares his thirty years of experience studying gray whales in remote Baja, Mexico lagoons, and explores the mystery of this extraordinary interspecies connection. 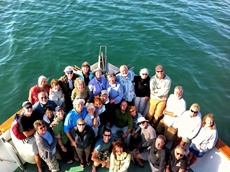 He shares, too, his love for the whales, the place, and the people. You will want to own this enchanted book, and the glorious DVD that accompanies it.